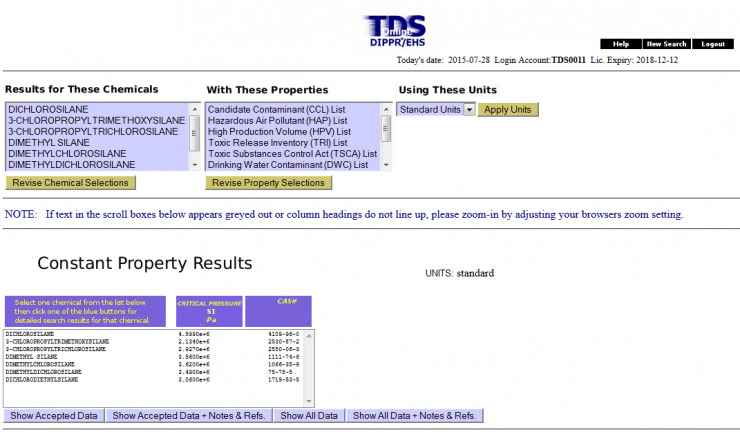 Technical Database Services (TDS) is an internationally recognized source of reliable chemical property data. Our clients gain easy access to physical, thermodynamic and EHS (environmental, health and safety) data that is vital to their work. 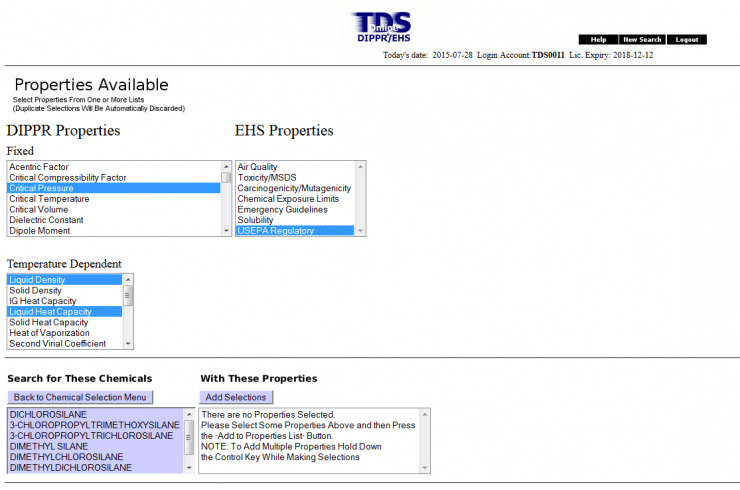 Scientists, engineers and researchers use TDS software to perform complex calculations, process simulations and other tasks with greater efficiency by retrieving data rapidly via mobile or desktop clients. DIPPR/EHSTM - Rapid access to reliable physical property data from the AIChE DIPPRR Project 801 and High quality environmental, health and safety data from the US Environmental Protection Agency (USEPA). LogKow DatabaseTM - A comprehensive compendium of experimental octanol/water (Log P) and other partition coefficients for over 30,000 chemicals. The LogKow is a valuable indicator of a chemical's biological activity. DIPPRR/EHS Online our advanced online version has now been updated with the latest 2019 data. 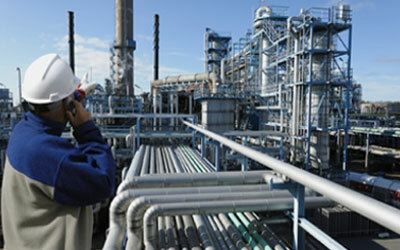 The program provides rapid access to reliable physical property data from AIChE Project 801 - and high quality environmental, health and safety data from the US Environmental Protection Agency (USEPA). Later this year, TDS plans to release a new online internet program for searching experimental and predicted partition coefficients.